Discussion in 'Cases & Case Modding' started by MATRIXSHARK, Oct 13, 2018. First Mod was to source and purchase the OEM side window. Being out of production for about a decade made this INCREDIBLY difficult.... At this point, it's probably easier to modify the original side panel and add a window yourself. But, I ended up getting very lucky in finding one. That dust filter's spot will do nicely. It will allow plenty of room without interfering with the standard expansion slots. You can see my pencil lines sketching out where the cut will go. I'll clean up the edges a bit etc. Overall, it was a fairly straightforward mod, But one that was both in-expensive and worthwhile. Gavv and Engr62 like this. Without vents in the side panel I doubt this helps with cooling. 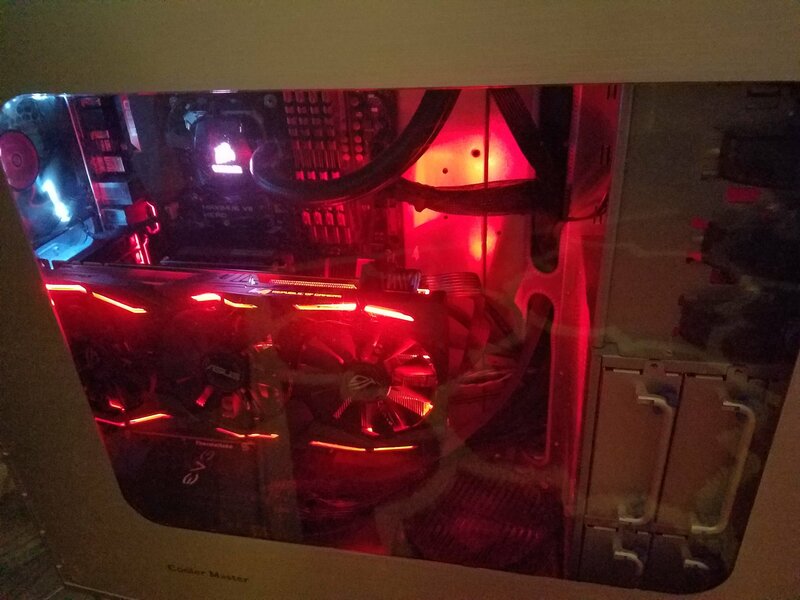 Did you check temps before and after? Oh, I agree. This is ABSOLUTELY a cosmetic mod. Purely for looks here... But I will say that temps are fine. Being 11 years old, the Cosmos 1000 chassis itself is moderate for airflow. While I didn't do actual measurements, Temps after the mod are perfectly fine. GPU is 60c (plus or minus a degree or two) at load.